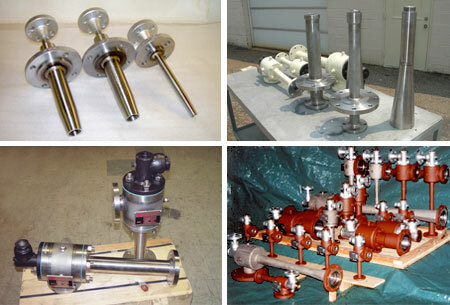 Unique Systems entered the process vacuum industry in 1973 when we began manufacturing spare parts for Elliott-brand steam jet ejectors. Our precision manufacturing techniques and meticulous quality control procedures quickly earned us a “no rejects” reputation. As a result of our consistency and reliability we progressed to supplying complete assemblies & small systems, shipping them directly to the end-user. We ultimately acquired Elliott’s vacuum technology – technical & design specifications, engineering & test data, microfilm & original mechanical drawings – and records for all existing vacuum equipment worldwide! We excel at producing only the highest-quality replacement parts – specializing not only in vacuum equipment but close-tolerance steam turbine & compressor parts. Supplying spare parts of any kind always brings us back to our roots – it’s something we do superbly – and as our customer you should only expect the best! We’ve become a manufacturing vendor for several other “ejector OEM’s” as well. If our competitors can depend on us – so can you! There are also times where OEM spare parts, service & support are difficult to obtain or simply no longer available. Unique Systems has a great deal of experience refurbishing or replacing outdated and obsolete equipment. All our replacement parts are designed to meet or exceed your requirements; and, as a manufacturing supplier, we can save you substantial time & money! We can offer field engineering services including start-up, performance testing & analysis, system maintenance & troubleshooting assistance and operator training (individual or group seminars).